The purpose of all Electronic Auditory Stimulation effect (EASe) products is to stimulate, challenge, and promote sensory processing in children on the autism spectrum and others experiencing difficulty with sensory processing and organization. EASe CDs, games and apps for Apple iDevices have been successfully used since 1996 by ten thousand trained therapists, many tens of thousands of parents, and hundreds of non profit organizations the world over. 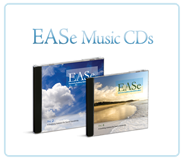 The EASe CD series is the original disc based Listening Therapy program. EASe PC games are the first video games proven to have a direct therapeutic affect on those with sensory processing disorder. 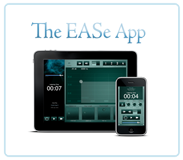 EASe apps are the first application of the unique power of the iPad to help those with auditory processing disorder cope with noise. 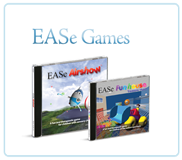 EASe products are simple and safe tools for occupational therapists, physical therapists, speech-language therapists, teachers and parents, to assist children challenged with sensory processing disorder, (SPD) sensory integration dysfunction, auditory hypersensitivity, central auditory processing disorder (CAPD), hearing or developmental issues, to better manage noise. EASe Listening Therapy was originally based on the Guy Berard AIT method of auditory integration training (similar to the Tomatis Method) but at a fraction of the cost, and can be carried out at home, at school or in a therapist's office with an inexpensive CD player and a high quality pair of headphones. 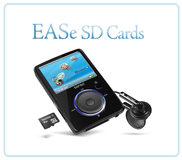 EASe CDs 1 through 4 are distributed by Vital Sounds as part of the Vital Links Therapeutic Listening® program. EASe products integrate well with sensory integration therapies, enabling a child to more easily develop additional skills through an enhanced "sensory diet".